Montevallo alumnus, Gary Ellis is a resident of Gulf Shores and the president and CEO of Compass Media. Prior to assuming his role on the Board of Trustees, Ellis served as a member of the UM Foundation Board and the Stephens College of Business Advisory Board. Ellis serves on the PR and Development Committee, as well as the Audit and Finance Committee. 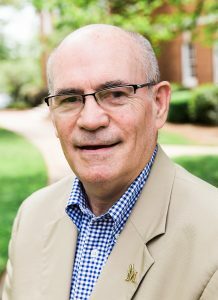 Ellis graduated from the University of Montevallo in 1973 with a degree in business administration services.